Gear up and get ready for war! 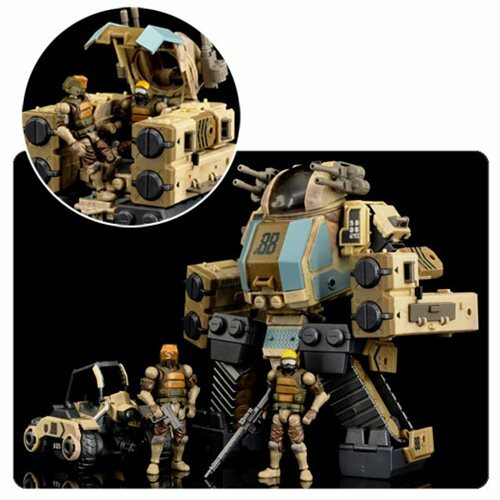 The Acid Rain B2Five 88th Sand Deluxe Action Figure Set comes fully equipped with 2x vehicles and 2x pilots with weapons. The Stronghold ST1s vehicle transforms into tank and armor mode while the Speeder MK1s vehicle transforms into a speeder and walker mode. Each 1:28 scale scale military pilot includes 21 points of articulation and additional accessories include a rifle and heavy hand gun.